As carbon pricing gains increasing attention around the world, it’s essential that policies are informed by independent and sound analysis. The Carbon Tax Research Initiative at Columbia University's Center on Global Energy Policy is pleased to join the Carbon Pricing Leadership Coalition to offer its analytical expertise and learn from CPLC members about the opportunities and challenges of carbon pricing. CGEP’s initiative helps policymakers, businesses, and other leaders understand carbon pricing and the impacts on the economy, emissions and energy markets. The initiative, which started in 2018, produces research by leading energy and climate policy experts. It provides a platform to educate and enhance the dialogue among policymakers, business leaders, students, and the general public through original research, public events, and workshops. Last year, the initiative released a series of reports that offer an in-depth look at various design options of carbon tax policy. Researchers at the Carbon Tax Research Initiative also analyzed federal and state-level carbon pricing policy in real time. 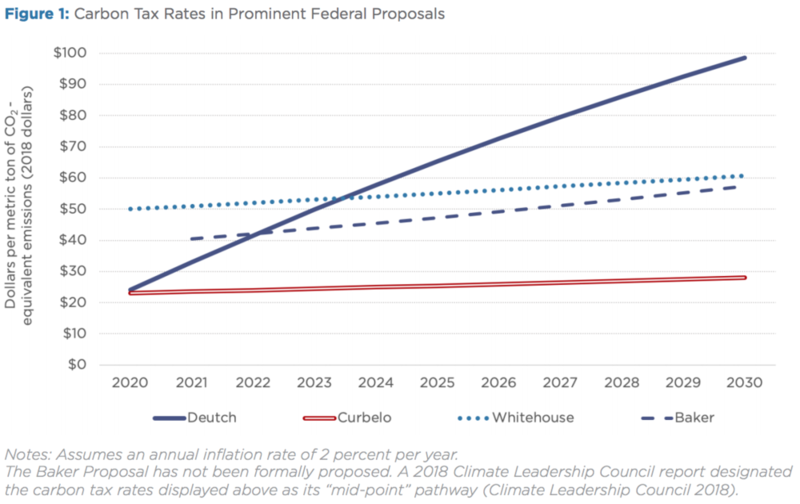 Noah Kaufman, who directs the initiative, led analysis of Washington State's carbon fee ballot initiative 1631, federal legislation introduced by former Congressman Curbelo, and a comparison of prominent federal carbon tax proposals. The initiative also analyzed the role of the Social Cost of Carbon in taxes and subsidies, and alternatives that can be used to set tax and subsidy rates. A COMPARISON OF THE BIPARTISAN ENERGY INNOVATION AND CARBON DIVIDEND ACT WITH OTHER CARBON TAX PROPOSALS, Noah Kaufman. The initiative recently released a report and interactive tool that provides a framework for considering the interactions between a federal carbon tax and other policies that influence greenhouse gas emissions. It identifies how carbon taxes can be complementary or redundant, based on their cost-effectiveness, to other climate policies such as EPA regulations and renewable energy standards. This year, the initiative will continue to analyze prominent federal carbon tax proposals and produce research related to the most important policy design questions, such as how to set tax rates and how a price on carbon can fit into a cost-effective and equitable overall climate policy strategy. The initiative will also develop products that provide the fundamentals on how carbon taxes work, including an explainer video and fact sheets. For more on the Carbon Tax Research Initiative at Columbia University's Center on Global Energy Policy, please go to https://energypolicy.columbia.edu/carbon-tax-initiative-research. Older PostCan Article 6 Benefit African Countries?